Product prices and availability are accurate as of 2019-04-18 09:28:56 EDT and are subject to change. Any price and availability information displayed on http://www.amazon.com/ at the time of purchase will apply to the purchase of this product. 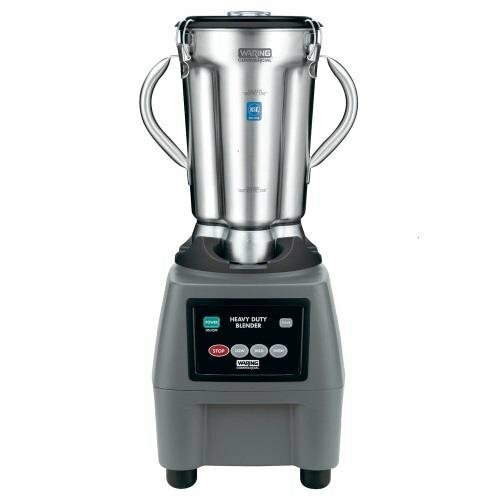 This food blender is intended for heavy-duty food preparation at busy restaurants. Healthcare, schools and institutions will also find this unit helpful in their kitchens. Comes with ultra heavy-duty 3-3/4-horsepower commercial motor. 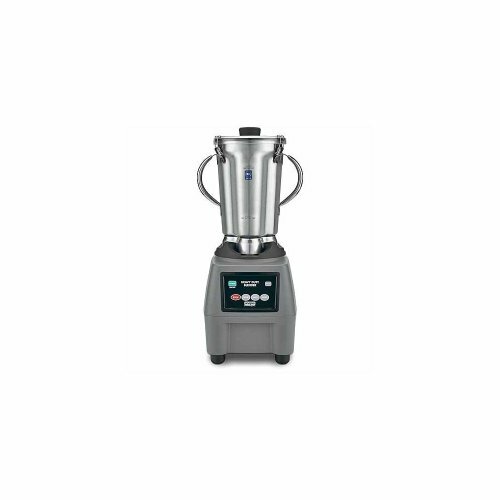 Perfect for large loads and long blending times. It has a 3-speed selection and max pulse to chop and mix. Easy-to-clean and easy-to-use electronic membrane keypad. 1-Gallon stainless steel container with two handles for carrying and pouring and lid clamps for security. 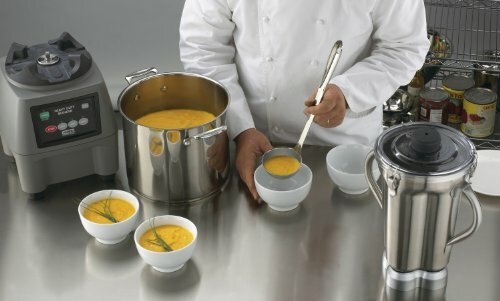 Easy-off rubberized lid with removable clear cap for adding ingredients and for pressure reduction during hot food blending. Durable, high-performance stainless steel blade. Metal-on-metal stainless steel coupling system for durability and reliability. Full die-cast durable motor housing with rugged rubber feet to reduce vibration. Dishwasher-safe 1-piece jar pad for easy cleaning. Recommended for 100+ drinks or servings per day. 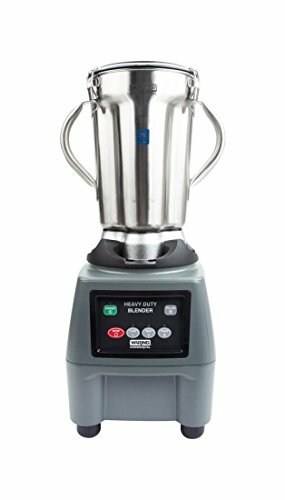 Features 120-VAC, 6.5 amps, 60-hertz, cULus, NSF approved. Limited 3 year motor warranty. Measures 22-1/4-inch height by 15-inch width by 15-inch depth.